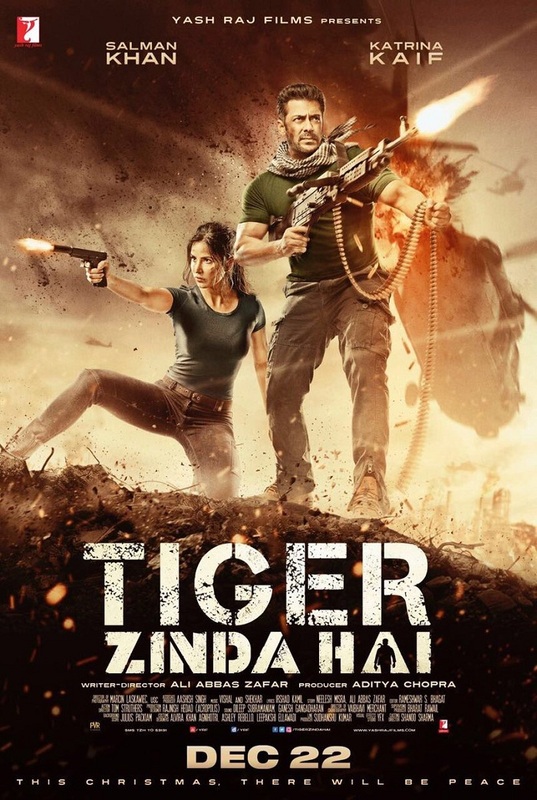 Tiger Zinda Hai Official Movie Poster. Tiger is Back! Here is presenting the much awaited official movie poster of Tiger Zinda Hai starring Salman Khan and Katrina Kaif. Tiger is finally back. 'This Christmas there will be peace'. Tiger Zinda Hai is one of the most anticipated movie of the year. Film releases on 22nd December, 2017 and is expected to take hurricane start at box office. 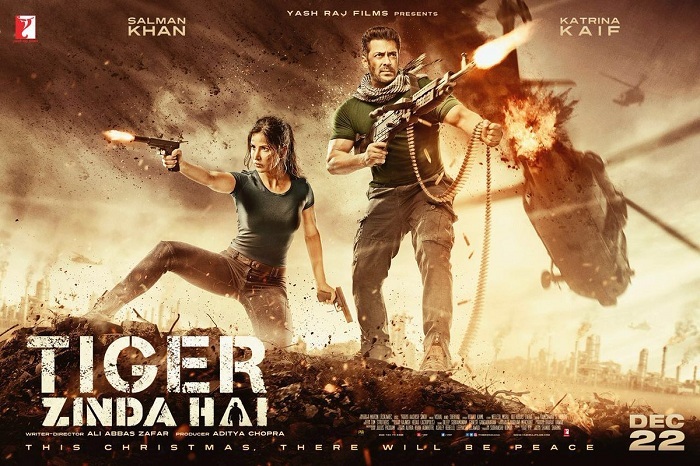 Film is a sequel to run away hit Ek Tha Tiger released in 2012. TZH is directed by Ali Abbas Zafar and produced by Yash Raj Films. looking amazing. just cannot wait for more.